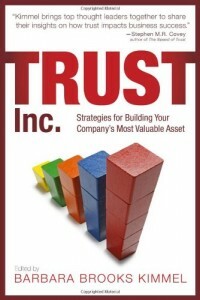 Welcome to the 2nd edition of the Trust Matters Primer – the best of the Trusted Advisor blog. This issue features four trust-related posts. They range topically from collaborative environments to a critique of sales metrics, to the subtext of our daily conversations, to a new view of attraction and retention. This issue introduces four other key Associates: Andrea Howe, Mark Slatin, Stewart Hirsch, and Toby MacKelden – from the Trusted Advisor Associates team. Of the four featured blogposts, three are by them. We will continue to present an eclectic mix of original material on the Trust Matters blog.